The fathers of the EMH adjusted their models after a lot of complaining from outsiders and admitted that investors can beat a market index by investing more in small businesses, those with a low price-to- book ratio, and those whose prices have increased recently (momentum). But Buffett refused to follow their advice. Instead, he bought stocks that were safe (with low beta and low volatility), cheap (low price-to-book ratios), and high-quality (large, profitable, and with high payout ratios). Also, Buffett employed a leverage ratio of about 1.6. 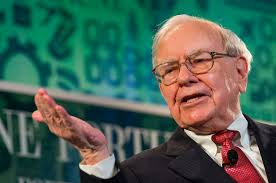 “Whether we’re talking about socks or stocks, I like buying quality merchandise when it is marked down” – Warren Buffett, Berkshire Hathaway Inc., Annual Report, 2008. Of course, Buffet isn’t all knowing. “...from June 30, 1998 to February 29, 2000, Berkshire lost 44% of its market value while the overall stock market gained 32%.” And the stock fell with the market in the busts of 2000 and 2008.